NOTE: 9 NEW PICTURES THIS WEEK! CLICK ON THE PICTURES TO THE RIGHT TO VIEW THE PICTURE ALBUM. That guy that I mentioned that was way excited, well he and his wife are amazing. It's something incredible to see those that the Lord has prepared to receive his message. They truly have been prepared. So much of the time we're working with people that aren't really prepared. That's when this family come along; it's just seems so easy really. Also he has a prosthetic leg from his thigh down and he has family members that are already members. We found him in the house of some less actives members that we were teaching and we just started teaching him. He was there the next time with his wife and same thing happened with her, she loved it and asked a lot of questions. Well the computer just lost it and I lost a bunch of time. I have to go but talk to you all next week. Well as for what's going on down here; its World Cup time and it's in full swing. I saw a bit of the USA game today; wow can you say last minute. We had just walked into an investigaters home as it was ending, so my comp and I were pretty content with the win. The people down here are really happy because Argentina is doing so well. If they win we'll have a lot of happy argentines to talk to, but right now when argentina plays, there's nothing we can do as the entire country shuts down! My companion is Elder Sean Carter. He's an amazing piano player. I've learned from him that I'm not very patiant at all. He reminds me that I don't know anything and I'm not that great. It helps to be humbled and I need that. It's starting to get cold down here and then I come to learn that Acea is starting in on the swim team! I kind of miss swimming especially because I'm here at the ocean! So this last week we taught this guy. We told him that there are prophets today. He got so excited! I couldn't quite believe it! We also found this other lady that has a date to get baptized the 24th of July. For causes of work it's a little bit difficult for her to make it to church, but she's great and hopefully she'll be able to make it the next time. Her name is Maria Laura. Well i hope everyone has a great week enjoy the sun and warm temperatures! 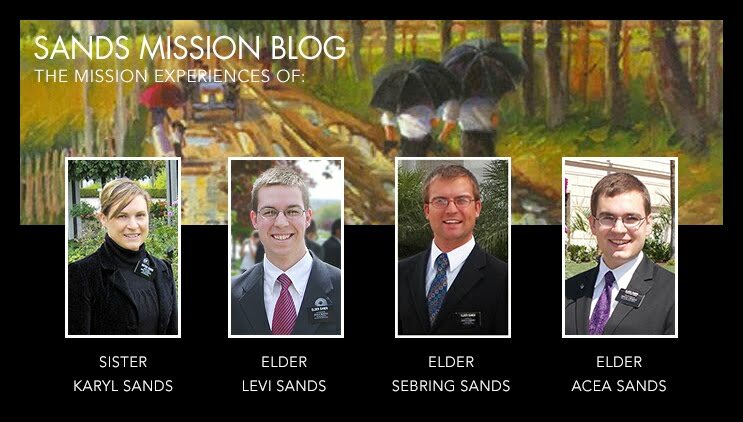 Wow, I don’t believe it; the missionaries living in the house! I just hope there’s room for me when I get back! Zone conference was yesterday and it was fantastic! Presidente Detlefsen as always was able to motivate us a lot and to be able to get us pumped. As for investigators we have one lady that we contacted because her granddaughter wants her to stop smoking so we taught her and well she was finally able to come to church. She’s a nurse and never has Sundays off so she’s on vacations now but says that she might be able to get Sundays off every so often to come because she loves it. She’s named Estella Maris. So apart from that, the German who has come to church, we think for years, is finally getting married! There are always gigantic problems with divorces so sometimes they have to wait years and so lots of people just simply aren’t marred even though they have families and such. So they should be getting married within a month or so and afterwords he’s going to get baptized! His wife is already a member and so are the kids great family and it’ll be great to see him be able to progress now that he’s going to be a full out member and get the priesthood. So such is the life in Argentina. It is a little bit more complicated right now because of the world cup. When Argentina plays the whole country shuts down completely! I mean no one anywhere in the entire city. In Mar del Plata there were missionaries that live in front of a way busy street and they say not one soul for the entire duration of the game! Crazy! Well anyway I have to say it some where “Go USA” hahaha. I’m been having some computer issues and have had to get some things off to the Mission President so this letter will be a bit short. But I’ll share a quick thought. Moses in the book of Moses is shown the power and glory of God and that power and glory is incredible. It made me ponder on the thought that we’re nothing next to him, nothing. But, we’re his children and although I don’t understand the love that parents have for their children, I do know it’s strong and His love is perfect. So with all of us, he lets us see a portion of his works and his power. He then leaves us to our own means to an extent, with His help, to be tempted and tried. Then if we overcome the evil one, we see so much more, receive so much more of His power and glory, and we ourselves through these experiences, and through Him, become perfected (Moses 1-great chapter). Anyway have a great week everyone! NOTE: 18 NEW PICTURES THIS WEEK! CLICK ON THE PICTURES TO THE RIGHT TO VIEW THE PICTURE ALBUM. Well due to setting up a new way to transfer pictures, writing a long letter to my mission president I have very very little time left, but I have to pass on that Mauro got baptized. He is awesome in everything! We all need to be like Mauro.